Spring is slowly creeping closer and closer. Today was so beautiful out that I took advantage of it and didn't wear tights! Woohoo :) I just want to say how much I love my new jacket from Francesca's Collections, and how well it compliments my dress. Green is my favorite color ever so I always get excited to add some more green to my wardrobe. I can't wait to see what else I can pair it with. and make sure you all enter the Vintage Revival Giveaway!! And in the month of March, receive 30% one regular priced item from Francesca's Collections when you enter the code "MOPTOP"
Wooow, I love this! It's extremely spring. The blazer goes so well with the dress. 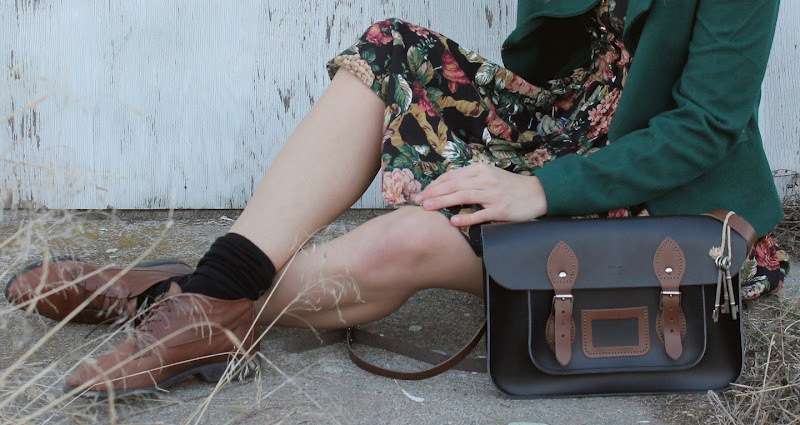 And oh my god, designing your own satchel is seriously cool, I'm jealous!! Ahh, I can't wait until it is warm enough to dress like that here! great outfit, as usual! I love that bag.. it's gorgeous! your dress is so pretty and the jacket looks perfect! 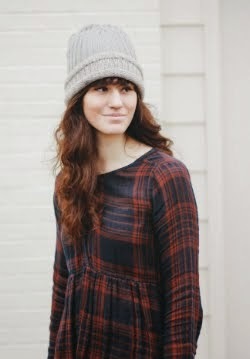 we saw your look book profile and we adore your stylee!! you are always looking gorgeous!! this is my new favorite outfit. ever. you look awesome and that green is such a pretty color.. also, i'm highly jealous that you won that satchel! Ooh I cannot wait til it's warm enough here for bare legs! You look great, I love that jacket and your dress is so pretty! And adore your spring style Tonya! That floral dress is soo pretty. The green blazer goes with it perfectly too. You are so beautiful. Green looks great on you. Cute outfit! !...love the colour of the jacket... and love your hair!! Love this outfit, really pretty dress! 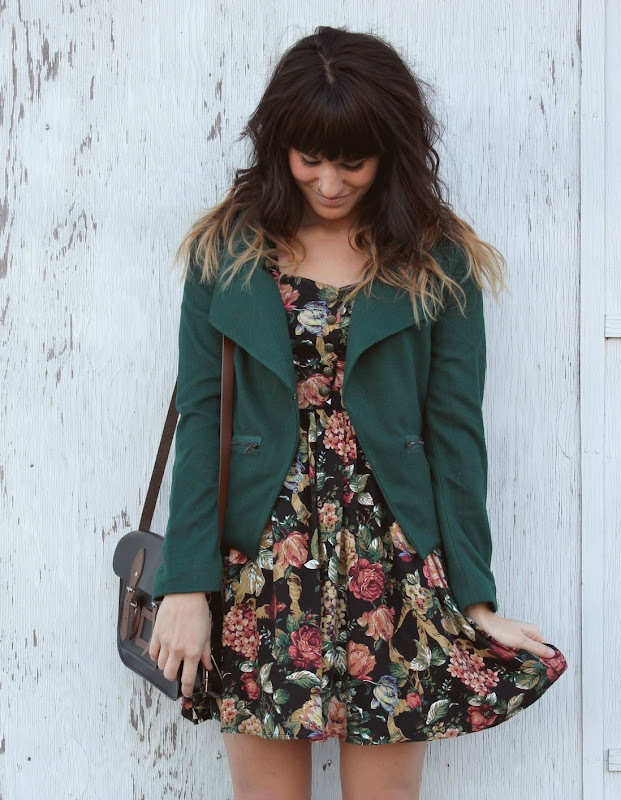 Your dress with that floral on black print paired with the green blazer is fabulous. I really like how it's 'matchy-matchy' but not… Also, love your hair tips! love this look! the dress is so adorable and it looks great with the blazer! Cute outfit!!! I love your dress, its so adorable! just found your blog and i love it!! green is one of my very favorite colors too! love it with the floral. Loving the earthy tones of this outfit! The dress is gorgeous and I have serious bag envy! that shade of green looks amazing on you! This is so beautiful, I love the whole outfit! 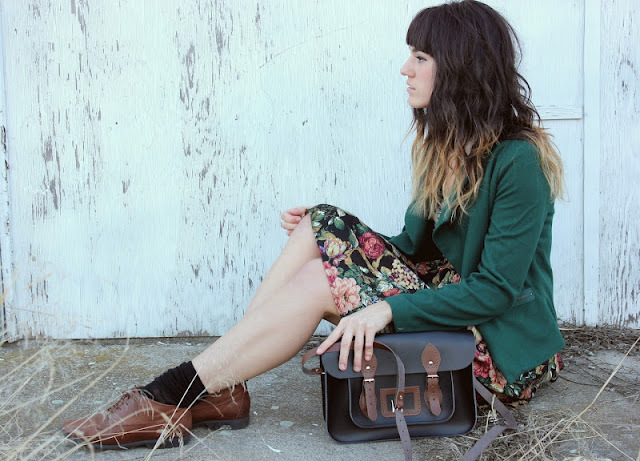 The dark green, the vintage floral print, the satchel, everything is so pretty! Love your look! your dress is lovely! This outfit is gorgeoussss!!!! Love everything, that dress is just amazing! Gorgeous outfit Tonya! Love that dress and the green jacket looks so good with it! you are so cute! love your style! following! um, jealous! That bag is too-die-for! that jacket is amazing!! i love the colour, and that dress, super cutee!! and yay for a chance to skip out on tights! i'm still waiting for that day here in vancouver haha! Love this dress and all your flower dresses ! your look is awsome! incredible bag and i love the floral dress! another perf outfit!